But let's move on to the food. 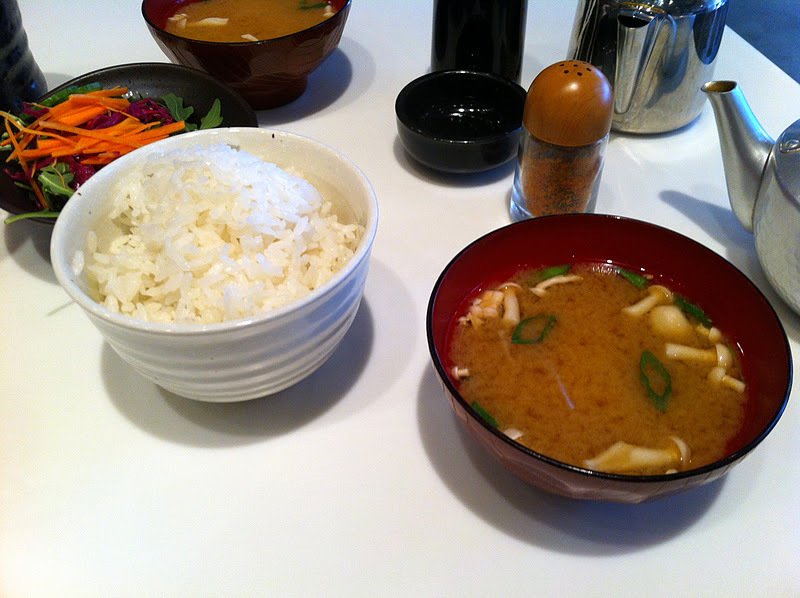 I went for dinner on Tuesday and had lunch on Saturday. The better meal from top to bottom was dinner but I do like the menu for lunch. It's smaller and simpler but just not as exciting as dinner and the value is not quite as good. 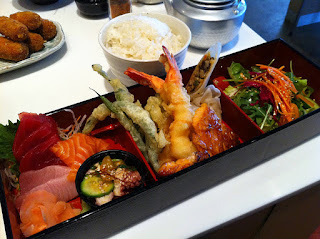 For $15 I had the bento box that comes with soup, salad, sashimi and a few appetizers. The noodle bowls and rice bowls are also in the $12-14 range. I'm not suggesting we left hungry but a $25 saturday lunch is not small potatoes either. The food was equally well prepared as dinner but nothing stood out and the limited menu removes many of the hits from dinner. The dinner we had with our good friends the Dermans was very good and very fun. A four person Slurping Turtle dinner is the best way to experience the menu and share many plates. We each ordered a bowl of ramen and supplemented that with a bunch of sides and appetizers. We needed two orders of the Crispy Curry Croquettes because Ari already knew how amazing they were from a previous visit. You have to like curry flavor but they are fantastic with a crispy outside and a piping hot soft middle. 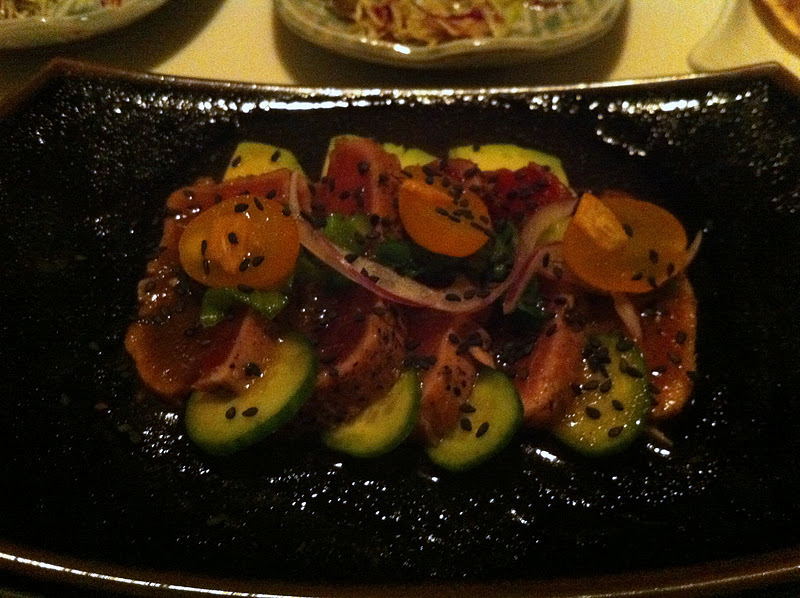 My other favorite was the seared big eye tuna sashimi. 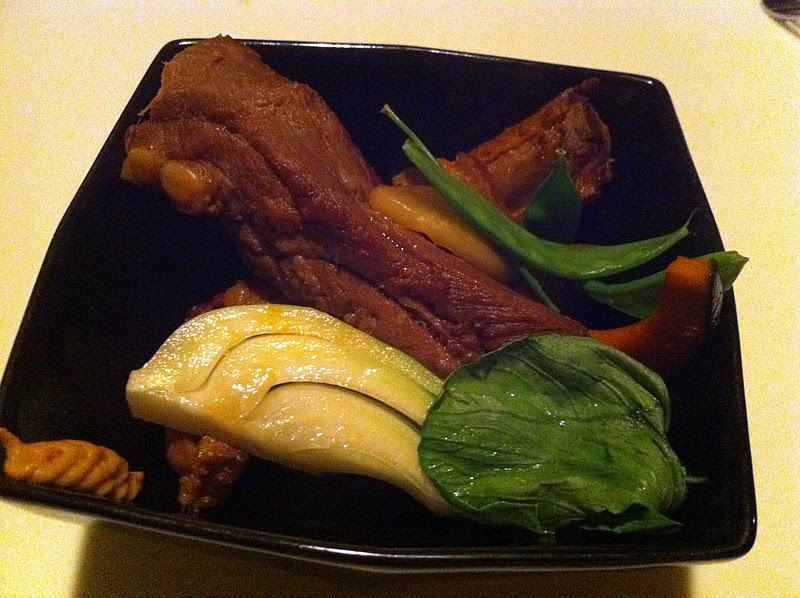 It was fresh and delicious with avocado and sweet onion dressing. The hamachi taco tartare was also nice but we only had one each. Erica and I also ordered a starter of spare ribs which was not my favorite and should have gone with my traditional favorite of gyoza. 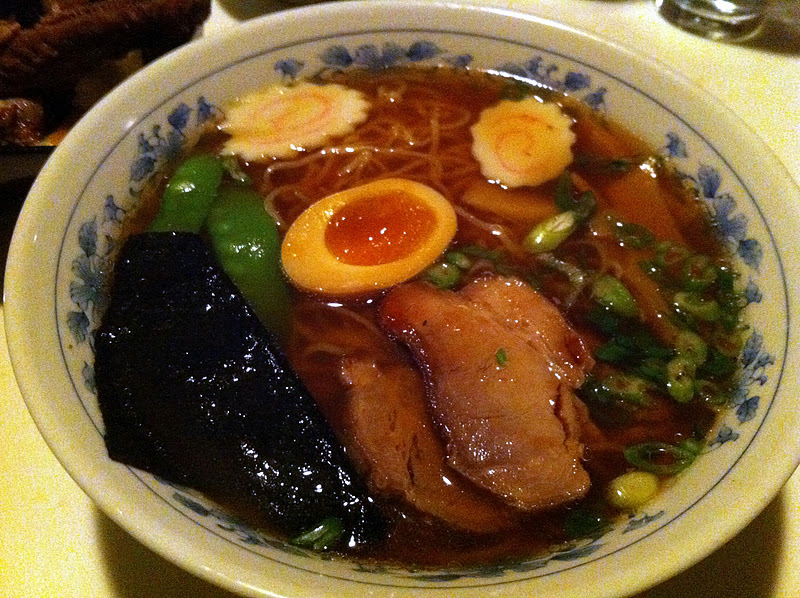 We tried the traditional shoyu ramen (egg noodle, classic tokyo style soy broth, braised pork shoulder, naruto, bamboo shoots). I'm glad erica enjoyed the entire bowl because I was just into the noodles and the tasty broth. It's the same bowl offered at the Takashi Noodles in macy's that I've had before but it's much better at turtle. Ari and Tali also ordered a side of fried rice that was fantastic and wish I had my own bowl. 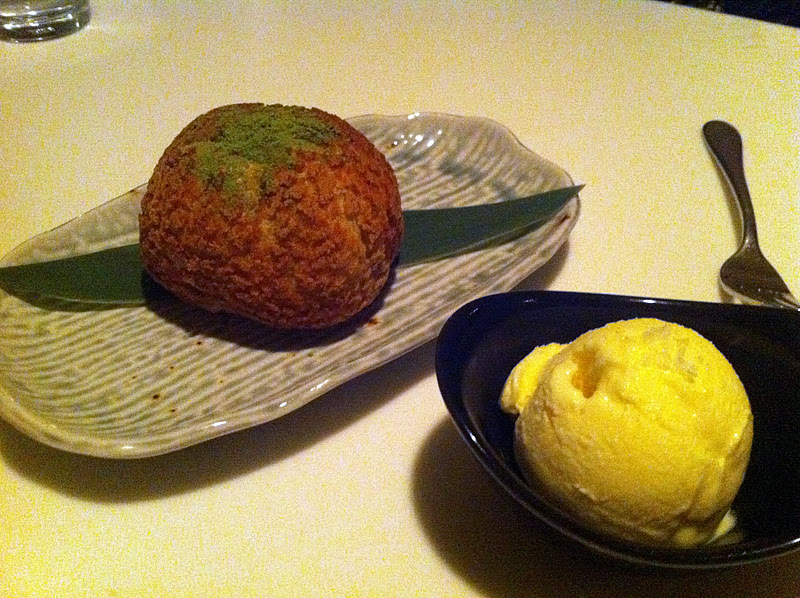 We couldn't leave without trying a few small treats and went with sea salt ice cream and a green tea cream puff. 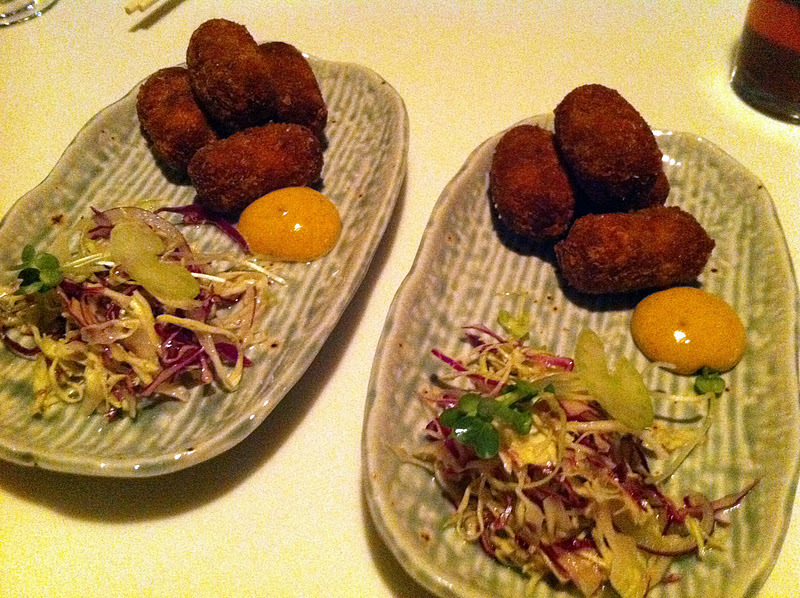 Both were nice and light as expected at the end of a Japanese meal. 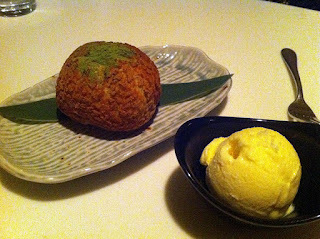 You need to like salt to enjoy the ice cream and the cream puff was just sweet enough to enjoy with fun textures. 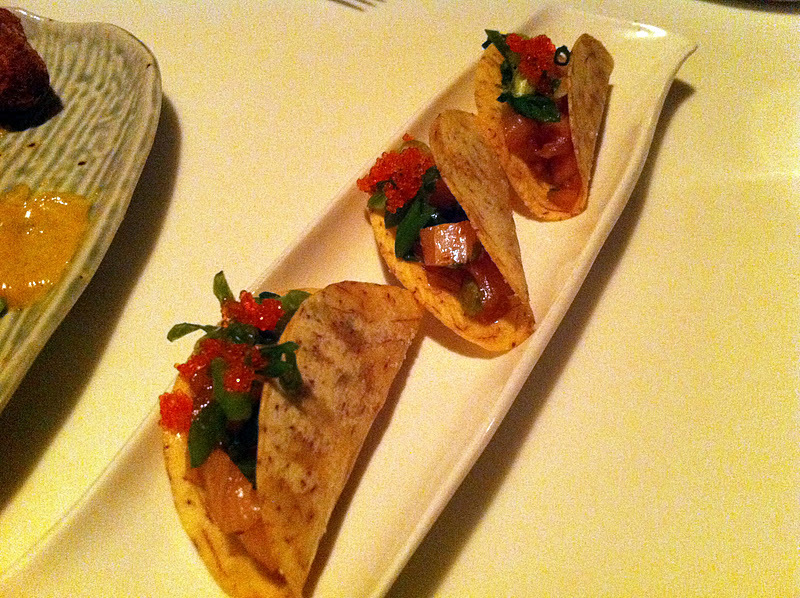 Slurping Turtle is a great addition to River North and one of the highlights to start the new restaurant craze of 2012. I'm glad I've gone twice to get a full sense of the food offerings, BUT to me, the sign of a great restaurant is one that I want to return to not only eat my favorite dishes again, but also try new ones I missed (I'm looked at the Tan Tan Men specifically). Another great concept and I look forward to whatever else Takashi has up his sleeve. 1) Med school's good, how's finance stuff for the campaign? You're still doing that right? 2) I just went to Slurping Turtle and was a big fan. The desserts were great as was the soup (I got the Tan Tan Men). I thought the appetizers were the weakest part of the meal and wish I'd just gone with the sashimi.